and assist children in the Florida Keys. that make them feel special. 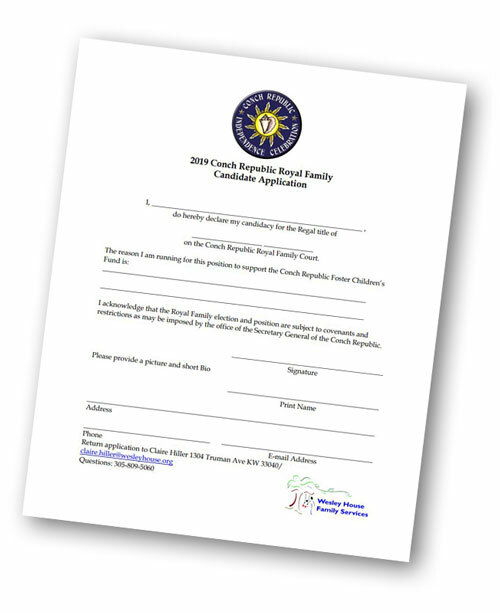 Still time to join the Conch Republic Royal Family and claim your position in the Conch Republic Royal Family! Any serious or silly rank or position is acceptable but know Mel Fisher will always be King. Whomever raises the most money, becomes the Queen, Royal Duke or Royal Family for the 2019 Season. 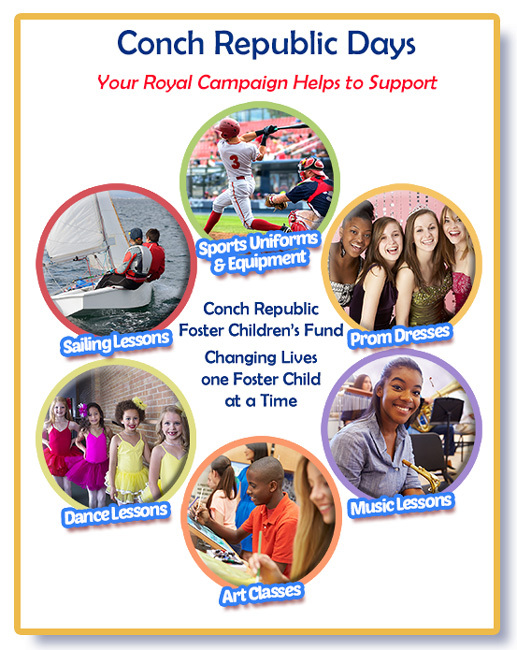 Conch Republic Royal Candidates will be raising money for the Conch Republic Foster Children’s Fund. Anyone raising $100 or more will earn their royal title and sash. Every dollar you raise brings you closer to your Royal Conch Republic status. You will raise dollars though your own Pay Pal account set up through the Wesley House Family Services’ website. Checks and cash may be dropped off at the Wesley House office (1304 Truman Avenue, Key West) any time Monday- Friday 9 am-5 pm. Crowning of the Queen of the Conch Republic and the Conch Republic Royal Family will be held at 6:00 pm on April 20th at the Southernmost House.